Last night, I had the privilege of enjoying a complimentary dinner at Weber Grill so that I could try out some of their new spring menu items! I started off with the Old School Daiquiri that actually included an edible flower! 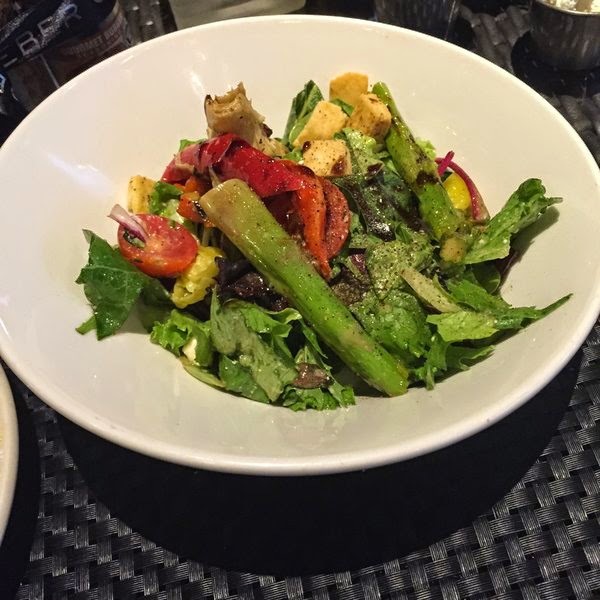 The entree was a petite Mediterranean grilled vegetable salad, followed by the main course that I chose out of several options- a prime kettle burger and parmesan garlic fries. 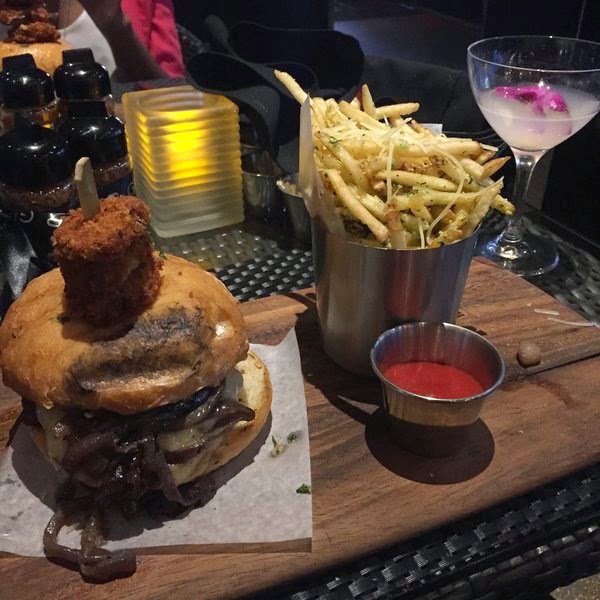 Everything was DELICIOUS, even the rolls :). 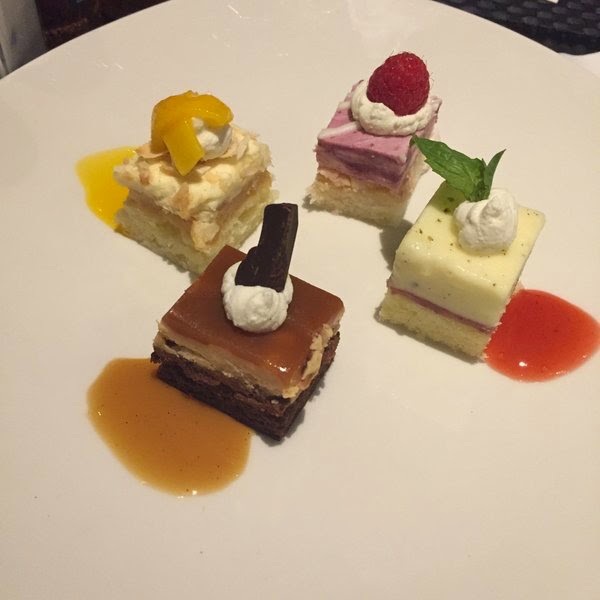 The signature desert bites were a perfect ending to the meal and my favorite had to be the chocolate peanut butter! 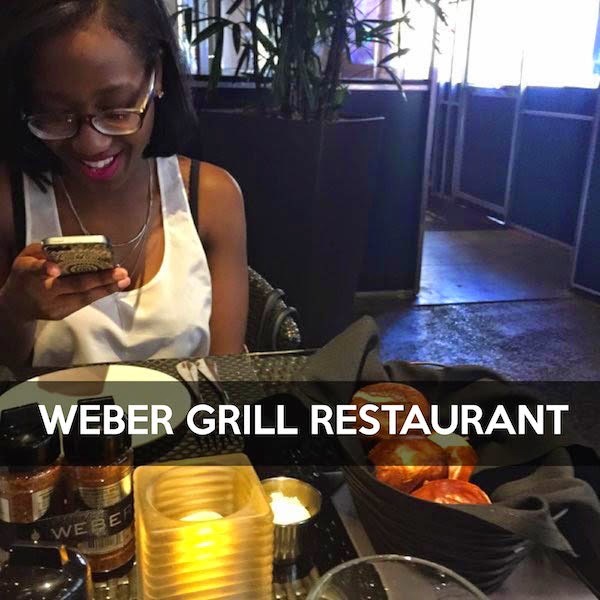 I've really been wanting to explore new restaurants in Chicago and I truly thank Weber Grill for the opportunity to experience their awesome dishes!